If You Lived Here, You'd Be Home Now Album reviews. 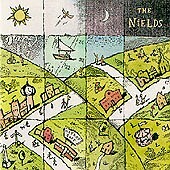 Connoisseurs of impeccably-presented folk-pop would be well advised to taste-test the Nields' latest sonic confection, If You Lived Here You'd Be Home Now - the sort of tasty-yet-tepid, lite Lilith fare that beguiles without surprising; satisfies the stomach without sticking to the ribs. The New England quintet's fifth release saves its best for first. The irrepressibly sunny "Jeremy Newborn Street," with its tenuously-twee tin whistle and brass band accents, sounds like something that may have bounced out of Petula Clark's handbag while she was asleep on the subway. "Caroline Dreams" suggests a creamy collision between Judy Collins and the 5th Dimension's Marilyn McCoo. And the throwback ballad "One Hundred Names" fearlessly wears its Janis Ian-esque sentiment on its sleeve, to genuinely compelling effect. Indeed, the Nields' richly-integrated, melodious vocals (courtesy of sisters Katryna and Nerissa, and, on a troika of tracks, friend and fellow granola-folkie Dar Williams) invites many a flattering comparison to acts both past and present: the Sundays' Harriet Wheeler; the Cranberries' Delores O'Riordan; Natalie Merchant on Prozac; Simon and Garfunkel on estrogen injections; the Indigo Girls on Prozac and estrogen injections. Alas, on the album's decidedly less satisfying second half ("Jack the Giant Killer"'s plodding pop; "Keys to the Kingdom"'s neutered bluegrass), these slick, frictionless harmonies begin to take on the soulless sheen of '80s schlock popsters Expos� and Wilson Phillips. By the time the quintessential Lilith Fair group-hug/sing-along "I Still Believe in My Friends" is set before the sated listener like a complimentary wedge of sickeningly-sweet cheesecake, you'll likely find yourself begging for the check. And jonesing for a Rolaids. Still and all, what the Nields do, they do quite well. Just don't come in hungering for haute cuisine; this is strictly a comfort-food kitchen. Beguiles without surprising. Satisfies without sticking.